This is a news magazine edited and graphically prepared by Česká technika – the CTU Publishing House. It presents interesting work and innovations being developed at CTU. The printed version of the magazine is available from stands in the buildings at each faculty, in university canteens and at other university workplaces. It is also distributed through the university internal post to all departments and institutes, to members of the top management of the University and the Faculties, to members of the Academic Senate of CTU, and by post to Ministries, the local authorities, companies and partners of the University. The magazine is also available in the National Technical Library. 5000 copies are printed. 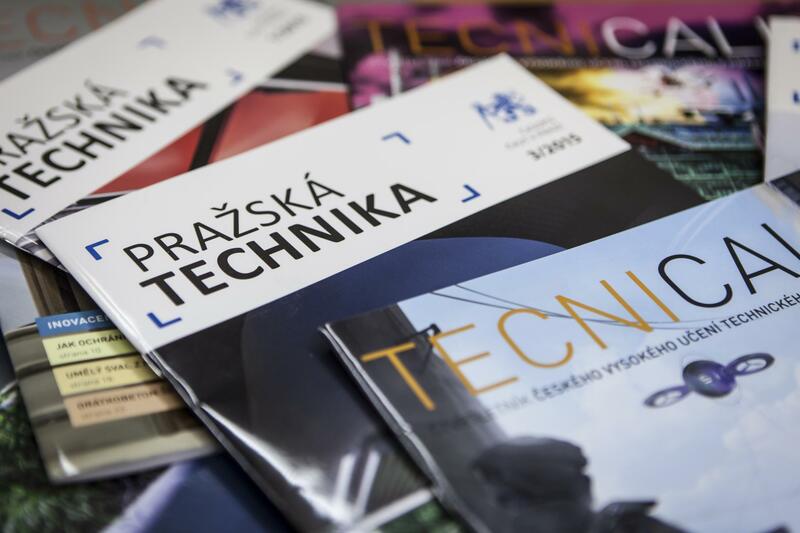 This magazine is produced in collaboration between the Department of External Relations at the CTU rectorate and Česká technika – the CTU Publishing House. It provides information about the results of scientific and research work being carried out at CTU, unique scientific and research projects, and collaboration between CTU workplaces and companies, with emphasis on efforts to bring CTU and industry close together. The magazine is distributed through stands located in public spaces at the university and also in ministries, local government offices and business complexes in Prague. 6000 copies are printed.